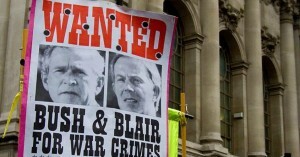 On 7th September 2002, speaking at a Press Conference flanked by Prime Minister, Tony “dodgy dossier” Blair, President George W. Bush stated that Saddam Hussein was just six months away from an Iraqi nuclear age. (1) The timeline, said Bush, had come from the International Atomic Energy Agency Report issued that morning.
. . . based on all credible information available to date . . . the IAEA has found no indication of Iraq having achieved its program goal of producing nuclear weapons or of Iraq having retained a physical capability for the production of weapon-useable nuclear material or having clandestinely obtained such material. Of course in 1991 every factory, including those making glass, cement, bricks, every military facility, chicken farm, agricultural processing unit, the whole industrial infrastructure, was erased by coalition bombs, with the US and UK liberally spreading radiation throughout the region with their depleted uranium missiles. Iraq had no nuclear capability but the country and the region would pay the price in cancers and birth deformities until the end of time, poisoned by up to 900 tonnes of residual radioactive and chemically toxic dust, also seeping in to water tables, earth, thus fauna flora – thus inhaled and ingested by the population. Black ironies do not come darker. 2003’s scorched earth onslaught, the invasion and subsequent years of bombings brought further radioactive pollution in orders of magnitude. The US is now bombing again. Iraq’s French built Osirak nuclear reactor at Tuwaitha had been destroyed by Israel on 7th June 1981, before it came on line. The warehouse in France housing the wherewithal for the reactor, awaiting shipment, was blown up. As the US, Israel calls its destructions by silly names, this one was called “Operation Opera.” The Tuwaitha complex was bombed again by the US in 1991. Imad Khadduri, author of “Iraq’s Nuclear Mirage”, eminent Iraqi nuclear scientist is adamant that the nuclear programme was abandoned on the orders of Saddam Hussein after the 1991 war, with those involved directed to sign a commitment to that effect by President Saddam. 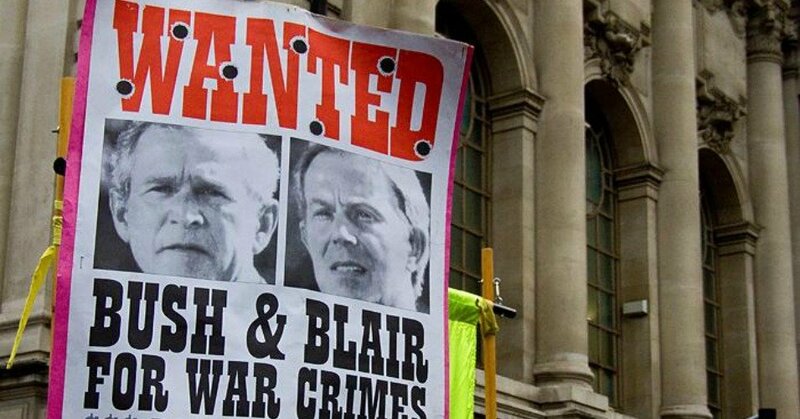 The relevance of the above is, of course, that Iraq was destroyed on a nuclear lie, whilst the nuclear reality is that the actions, primarily of the US and the UK, have poisoned the land, the people – and those of the region – with nuclear and chemical lethality for all time. The half life of depleted uranium is 4.5 Billion years. The soaring cancers and birth defects have been linked to this nuclear nightmare. Before the war began last month, the vast Tuwaitha Nuclear Research Center held 3,896 pounds of partially enriched uranium, more than 94 tons of natural uranium and smaller quantities of cesium, cobalt and strontium, according to reports compiled through the 1990s by inspectors from the International Atomic Energy Agency. Immensely valuable on the international black market, the uranium was in a form suitable for further enrichment to ‘weapons grade’, the core of a nuclear device. The other substances, products of medical and industrial waste, emit intense radiation. They have been sought, officials said, by terrorists seeking to build a so-called dirty bomb, which uses conventional explosives to scatter dangerous radioactive particles. Defense officials acknowledge that the U.S. government has no idea whether any of Tuwaitha’s potentially deadly contents have been stolen, because it has not dispatched investigators to appraise the site. Corey Hinderstein, Deputy Director of the Institute for Science and International Security, found it “extremely surprising” when told that U.S. nuclear experts had not yet been to Tuwaitha. In addition to their scarcely believable fecklessness with the most lethal of materials, the US and UK insurgents left the borders wide open – a situation remaining thirteen years on. Defence analyst Andy Oppenheimer, a specialist in counter-terrorism and chemical, biological, radiological, nuclear weapons and explosives wrote a meticulously detailed, chilling document on the resultant tragedy published in October 2003. 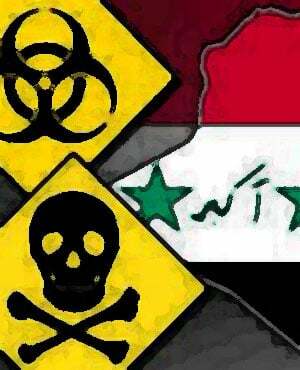 (4) Radiological material was certainly “on the loose in Iraq” and the results were locally catastrophic. What might have happened – or might still happen – further afield is seemingly unknown. What is known is that hundreds of barrels were stolen from the abandoned plant, the radioactive and chemical content tipped out, and the barrels used to collect water for cooking, to wash in, for storage. Water treatment plants, facilities, had been bombed and water was collected by any means from rivers, rain – the lethally contaminated barrels were a boon. There has been growing concern over radiation poisoning in the neighbourhoods near al-Tuwaitha. Local doctors have reported cases of radiation sickness in nearby villages. There are also fears that local farms as well as the water supply may have been contaminated in the post-war chaos. According to local doctors, as many as 2,000 residents in the villages near the site have been showing the telltale symptoms of acute radiation sickness – nosebleeds, rashes, hair loss, respiratory distress, and vomiting. People have drunk water stored in plastic barrels stolen from the complex. One local fruit merchant’s children fell ill after drinking the water. Doctors fear that hundreds could have been contaminated and may have ingested radioactive material. An Iraqi nuclear engineer and a founder of the al-Tuwaitha site, Dr. Hamid Al-Bah’ly, interviewed on Al-Jazeera TV, witnessed the spread of nuclear contamination firsthand. At one home, Al-Bah’ly discovered radioactive contamination in clothes and beds. In others, he recorded radiation levels 500 to 600 times higher than acceptable levels. Iraqi and foreign doctors are to conduct a major health survey in the affected areas near al-Tuwaitha; during June there was talk of evacuating villagers. Radiation sickness aside, the risk of Iraqis who have been contaminated contracting leukaemia and other cancers at a later date appears very high. US intelligence had shown Al Qaeda’s interest in the use of radioactive weapons. Intelligence whose priority was non-existent in protecting the wherewithal to create such horrors – in a region where Al-Qaeda literally seemed to enter Iraq with the troops and whose offspring is now ISIS whose adherents regard death as a prize, not a fear and surely would not have a moment’s concern in irradiating entire regions, adding to the burden of what the the US has already done. NOVEMBER 2015 – ANOTHER POTENTIAL NUCLEAR NIGHTMARE. Now Iraq has a new nuclear threat. The theft has come to light: “of a highly dangerous radioactive source of Iridium -192 with highly radioactive activity from a depot…in the Rafidhia area of Basra province.” (5) Though the material went missing in November, the disappearance has only just come to light. The material is classed as a Category 2 radioactive by the International Atomic Energy Agency – meaning it can be fatal to anyone in close proximity to it in a matter of days or even hours. Moreover: “A security official said the initial investigation suggested the perpetrators had specific knowledge of how to handle the material and how to gain access to the facility” where it was stored. Army and police are working “day and night” to locate the stolen material, a spokesman for Basra Operations Command told Reuters. Nearly four months on it seems they are not doing too well. It was reportedly being kept in a protective laptop-sized case in a depot belonging to US oilfield services company Weatherford. The isotope was apparently being used to check for flaws in oil piping etc., in Basra’s great oil industry, so speedily secured by the invaders.